"Sci-Fi Meets Art With Cabinet Of Post-Digital Curiosities", The Creators Project showcases [Ay]A Studio online spread and interview. The Creators Project seek to inspire new and emerging artists by showcasing the infinite possibilities presented by the advancement of modern technology. 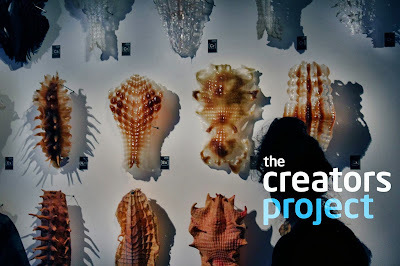 The Creators Project is proud to have showcased more than 500 artists from all around the world.